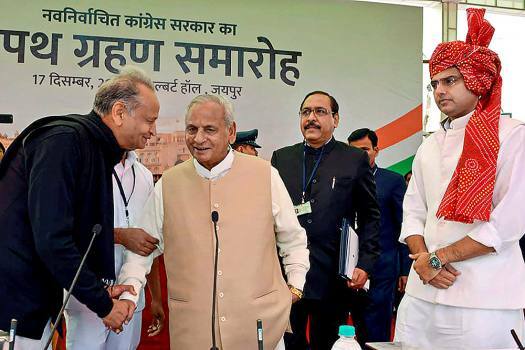 Rajasthan Governor Kalyan Singh is greeted by Chief Minister Ashok Gehlot at Rajasthan Assembly, in Jaipur. 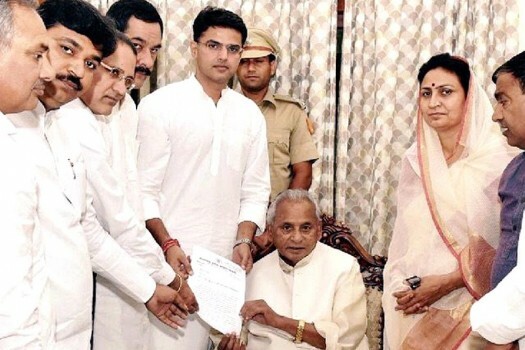 Rajasthan Governor Kalyan Singh, state Assembly Speaker C.P. 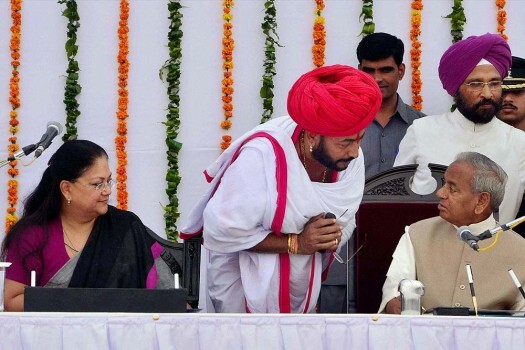 Joshi and Chief Minister Ashok Gehlot during the ongoing Rajasthan Assembly, in Jaipur. 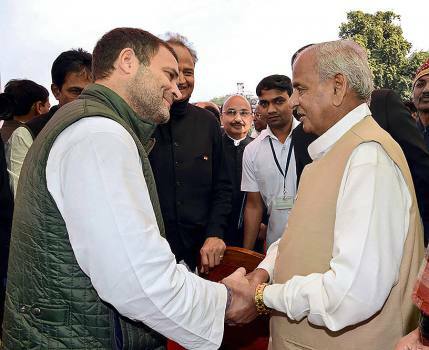 Rajasthan Governor Kalyan Singh shakes hands with Congress President Rahul Gandhi during the swearing-in-ceremony of Gehlot's governemnt, in Jaipur. 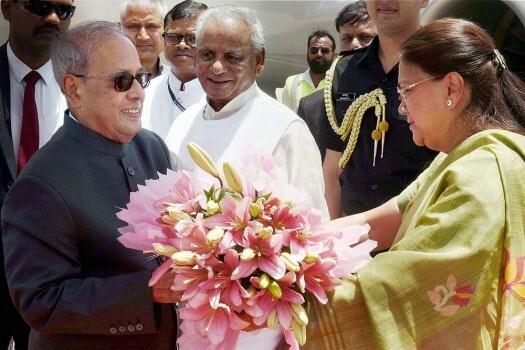 President Pranab Mukherjee being welcomed by Rajasthan Chief Minister Vasundhara Raje on his arrival at the airport, in Jaipur. 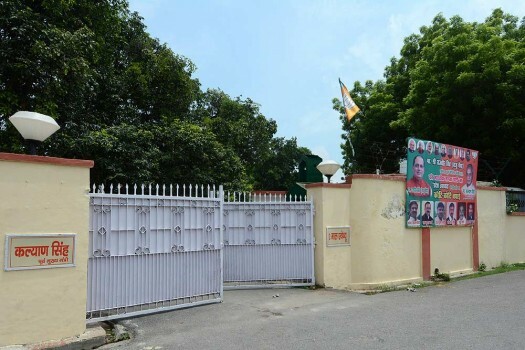 The official residence of former Uttar Pradesh Cheif Minister Kalyan Singh at 2 Mall Avenue, in Lucknow. 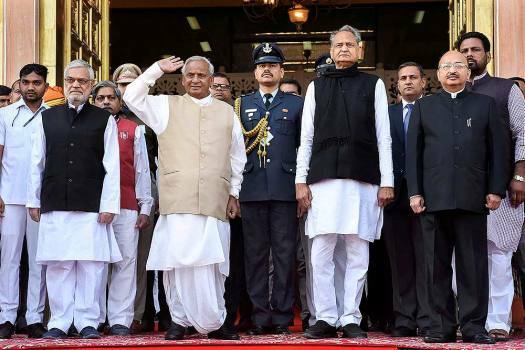 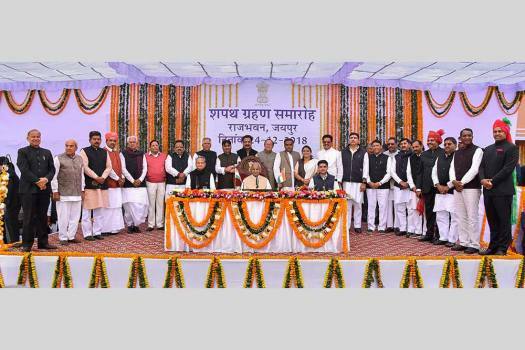 Rajasthan Governor Kalyan Singh and Chief Minister Vasundhara Raje at the swearing-in ceremony for new Cabinet ministers at Raj Bhawan in Jaipur. 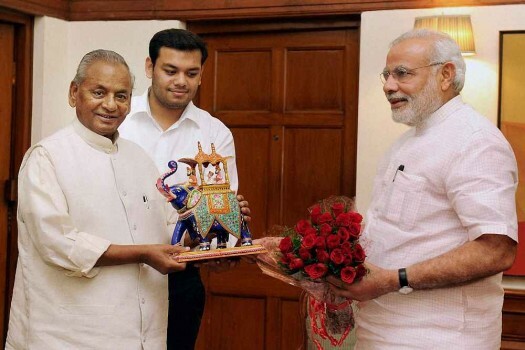 Prime Minister Narendra Modi meets the Governor of Rajasthan, Kalyan Singh in New Delhi. 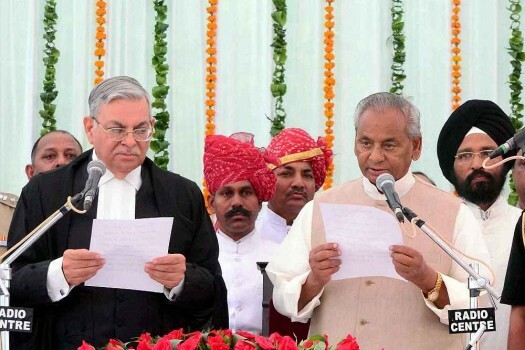 Chief Justice of Rajasthan High Court Sunil Ambwani administering oath of office to the new Governor Kalyan Singh at a swearing-in -ceremony at Raj Bhawan in Jaipur. 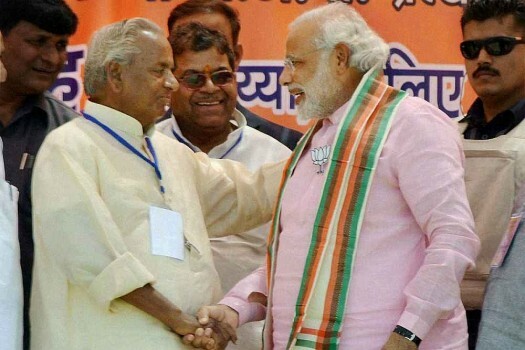 BJP PM candidate Narendra Modi shakes hands with party leader Kalyan Singh at an election rally in Etah. 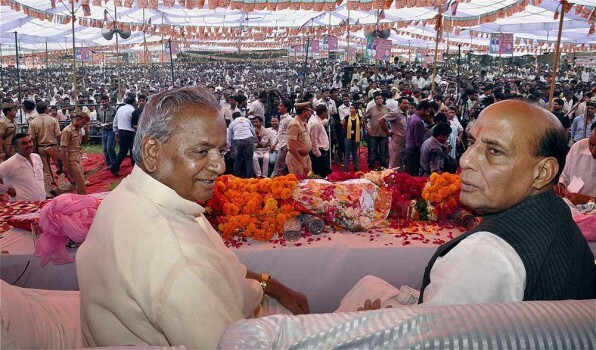 BJP President Rajnath Singh with party leader Kalyan Singh during Kargil Vijay Diwas rally at Kakod in Gautam Buddh Nagar, Uttar Pradesh. 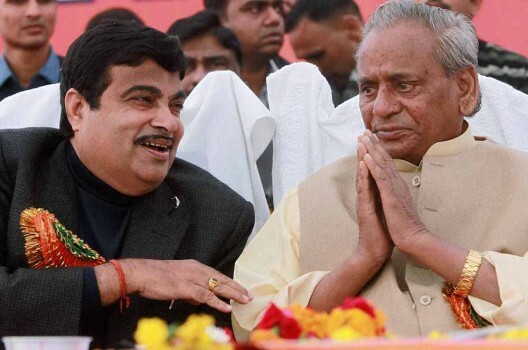 Former UP Chief Minister Kalyan Singh gets emotional as the Jan Kranti Party, led by his son Rajvir Singh, merged with the BJP during the Atal Shankhnad Rally in Lucknow. 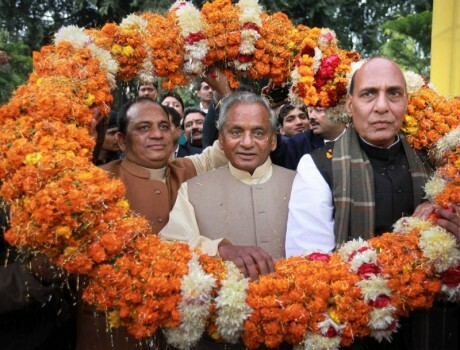 Former BJP stalwart Kalyan Singh is garlanded along with his son Rajbir Singh and senior party leader Rajnath Singh on his 80th birthday in Lucknow. 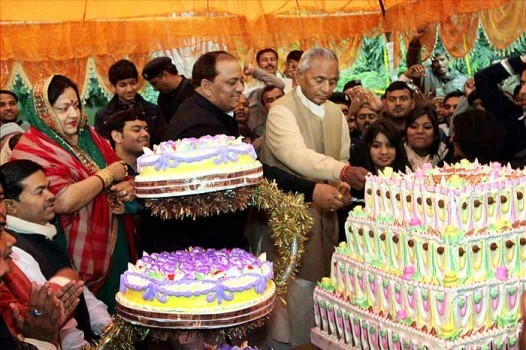 Former Uttar Pradesh Chief Minister Kalyan Singh cuts a cake as he celebrates his 77th birthday with his supporters in Lucknow. 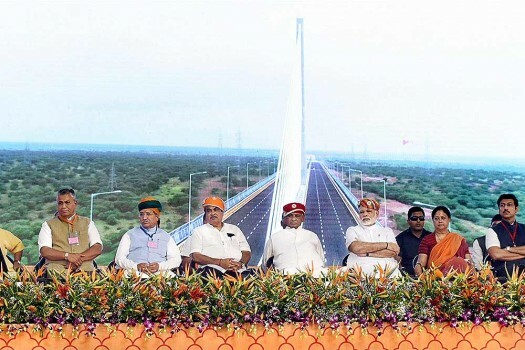 The poll panel had on Monday concluded that Singh's remarks supporting the return of Narendra Modi as prime minister are violative of the model code and is learnt to have written to President Kovind flagging the issue. 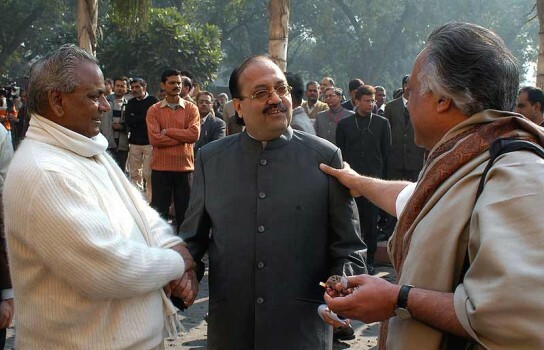 The court refused to heed LK Advani’s counsel’s request to put off the hearing by four weeks. 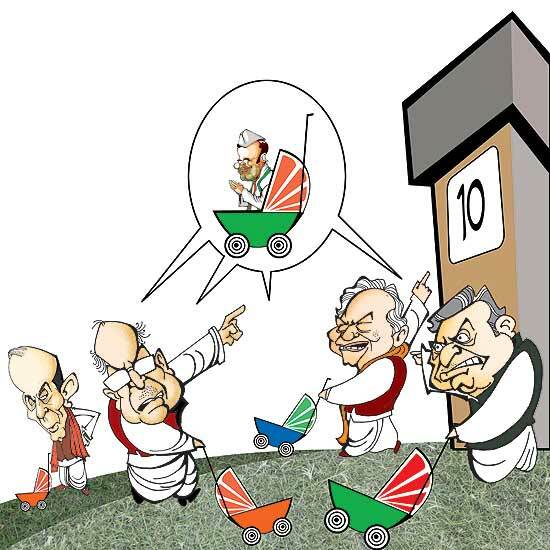 Can the written-off regain their relevance? 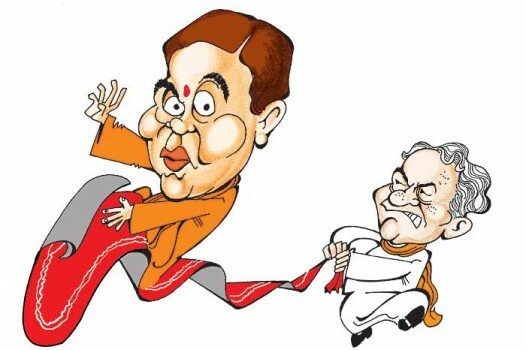 "A Criminal Should Have No Human Rights"